Mark Zuckerberg announced on his Facebook official account this morning that the new version of the Facebook mobile app is up and now available on Google Play Store. This is free and specially made for all Android users with slower mobile networks. According to Facebook Newsroom, Facebook Lite is the answer for all Android mobile users with not so faster mobile networks. 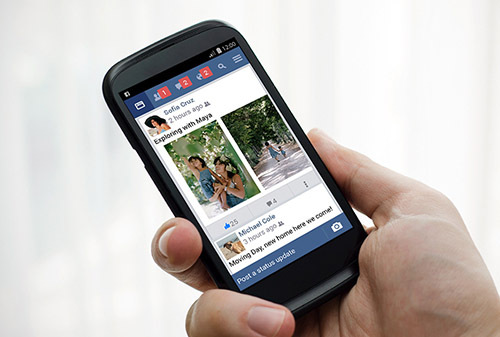 They can now enjoy the Facebook experience through this new version of Facebook app. Mark said on his FB wall, "We built Facebook Lite to be faster, more reliable and very data efficient even when internet bandwidth is at a minimum. The app is less than 1 MB in size and takes just a few seconds to download." Zuckerberg also mentioned that they started rolling-out the Facebook Lite to Asia, Africa, Latin America and Europe. And soon to the entire world. He said, "We’re going to keep working to serve the entire world, and we'll keep building tools for people in every community until we're all connected." If you want to try this 'Facebook Lite', just open your Play Store and search for it and install. Comments or suggestions about "Facebook Lite released on Google Play" is important to us, you may share it by using the comment box below.